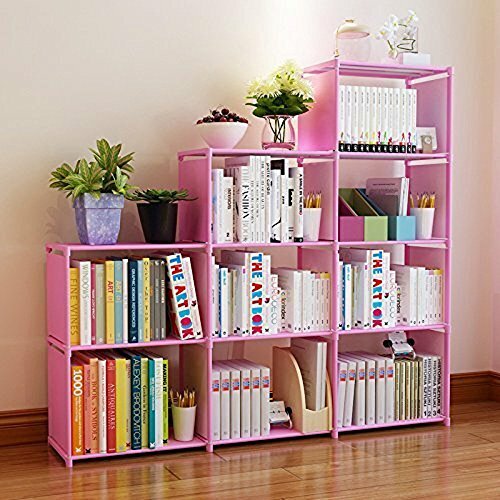 This 9-Cubes Bookcase is good looking as much is functional! The Storage Unit has become the center of attraction in many homes, offices and even. It has many areas of application mainly because of its DIY function. The cube organizer can be used for storing all sorts of items such as artworks, toys, books, clothes or other household necessities. You can build the cubes together to create a big cabinet, or have them in several blocks if you want to put them on different spaces. This storage organizer is very easy to assemble so it requires no experience or special tools,enjoy a wonderful DIY time with your baby!